As the leaves begin their journey from the branches of our trees to cover the ground in a beautiful array of vibrant colors, it’s time for our search for the season’s best Christmas gifts to begin. Avoid the hustle and bustle of frantic holiday shoppers, beat that frigid winter weather this year, and join me in the ultimate early-bird Christmas shopping adventure. Just think, while all of your friends are overloaded with the stress of finding last minute Christmas gifts and trying to fit holiday preparations into their busy schedules, you and I will be sipping hot cocoa in front of the fire with all of our shopping complete! As much as I am inspired to discover the best Christmas gifts for 2016, I’ll admit- I had to consult with our trusty group of clever elves for advice this year. Thankfully, they gave me a few wonderful tips to help make this Christmas spectacular. There are benefits to shopping early, and one of them is having enough time to have the best Christmas gifts shipped to loved ones in distant locations. The elves suggest we take a look at the fabulous selection of Christmas gift baskets offered by the merchants here at ChristmasGifts.com. There are corporate gift baskets for your favorite group, monthly gift club gift baskets for that someone special, and even gift baskets that contain handmade goodies for a treat that is truly unique. 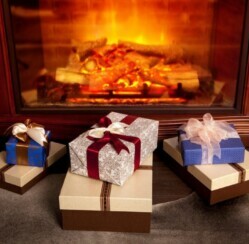 Having gifts personalized can be difficult late in the holiday season. Fortunately, we are starting early, so we can order things like personalized jewelry, jewelry boxes, and even personalized books and photo frames. In fact, ChristmasGifts.com has such a unique variety of personalized gifts that we might even be able to find a one of a kind item for everyone on our lists. Just imagine how special our loved ones will feel when they see their names incorporated into magnificent gifts! We have plenty of time to create the perfect collection of unique Christmas gifts to make those smaller gifts seem more important. 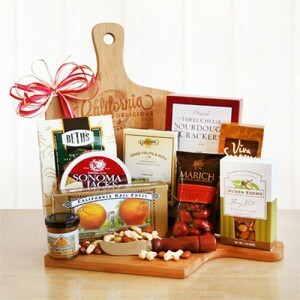 First decide on a theme, and then scout around the variety of unique gifts from our merchants to create your own gift baskets. Are you ready to begin your holiday shopping this year?